In 2019 we will be studying the life of Moses! We design our program so that you can focus on building relationships with your campers, not planning the next lesson or meal. Your campers will enjoy building friendships, learning life lessons and experiencing crazy adventures all in a safe environment. There will be a 45-minute "Church Chat" each day for you to catch up with campers as a group, talk about questions they have or lessons you want to hit home, and enjoy time together. All other activities and events are planned by our camp staff! For safety of all guests, we require a 1:9 leader to camper ratio. Minimum group size is 10 people. Contact us directly to register! 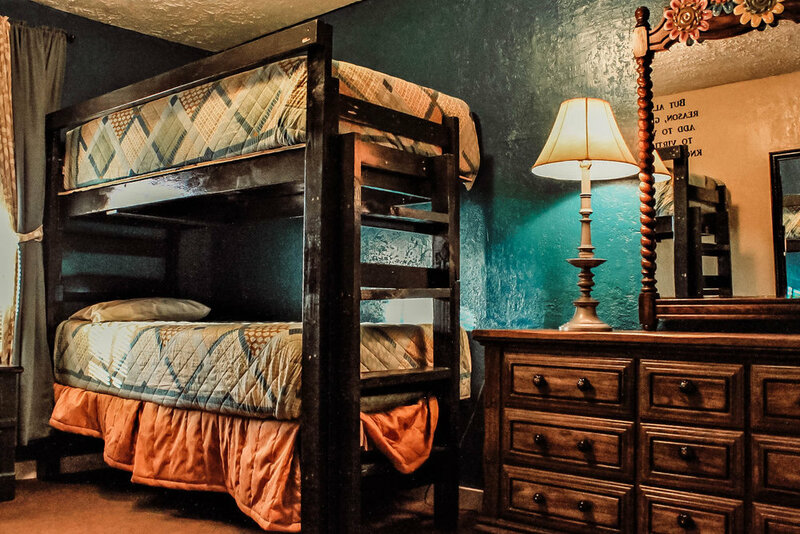 LODGING: You'll be lodging in our comfortable, air-conditioned separate-gender dorms. Bring your own bedding. Groups generally will have private rooms, but share common bathroom areas with other guests attending camp. ACTIVITIES: With dozens of activities available throughout the property, you won't be bored during free time at Oakridge! Hit your target at archery, ride a go-kart, bounce and flip 20 feet in the air on our power bouncer, and so much more! All basic and supervised activities are included in your camp price. You'll also get the option to pay a little extra for things like laser tag, paintball and our Goliath challenge course (Goliath is free for Teen Camp only). See the Leader Guide below for specific prices for extra activities. 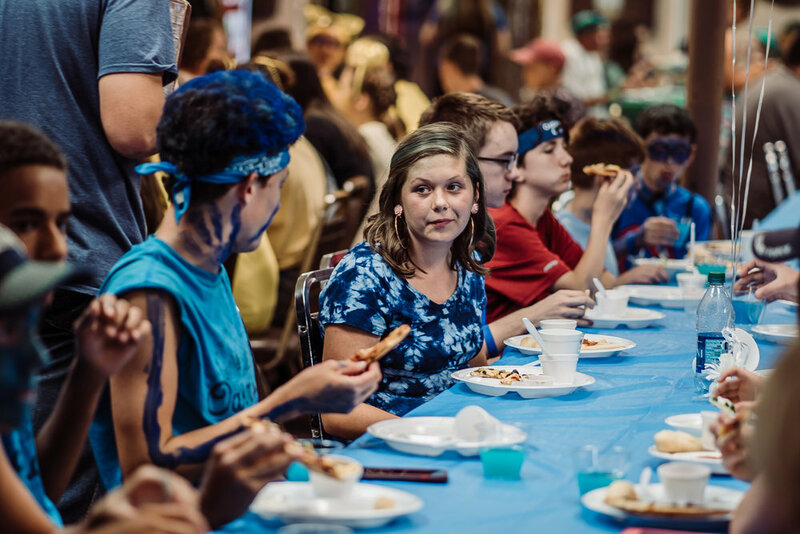 BIBLE BRAIN: During our 5-day camps, the campers are encouraged to learn God’s word through our Bible Brain chapel competition! We pull verses straight from the text we are focusing on, provide questions for them to study, and host the event during our morning chapel sessions. The winner is rewarded with a full camp scholarship for the following summer! Not available during 3-Day camps. THEME NIGHTS: We enjoy exciting theme nights together in the evenings! The campers can show up to dinner dressed appropriately depending on our theme that summer. 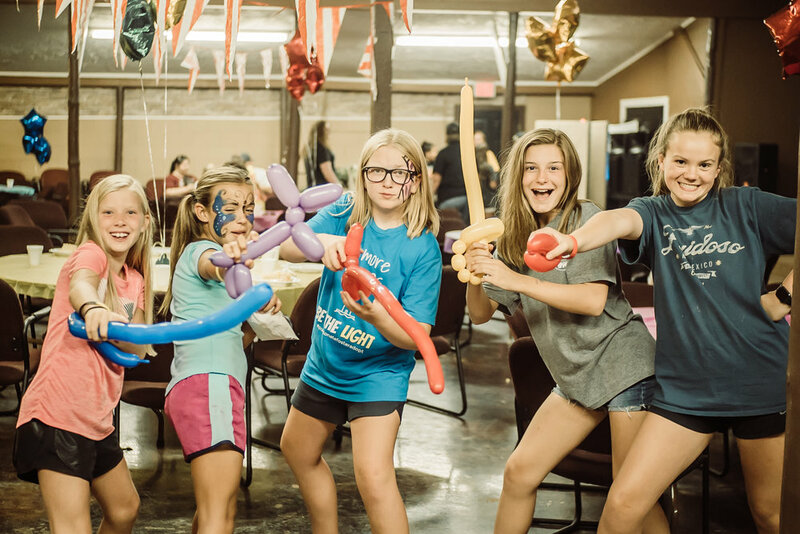 We even celebrate into the night (on the Wednesday of 5-day camp or Saturday of 3-day camp) with a carnival, luau, medieval or western night celebration! These themes vary every year - stay tuned to find out which theme you can enjoy this summer! Theme nights will be announced by April 1. NIGHT ACTIVITIES: After chapel and snacks each night, the fun keeps going with evening activities! Campers will have the option to participate in things like laser tag, a pool party, open mic, team games, and a campfire. 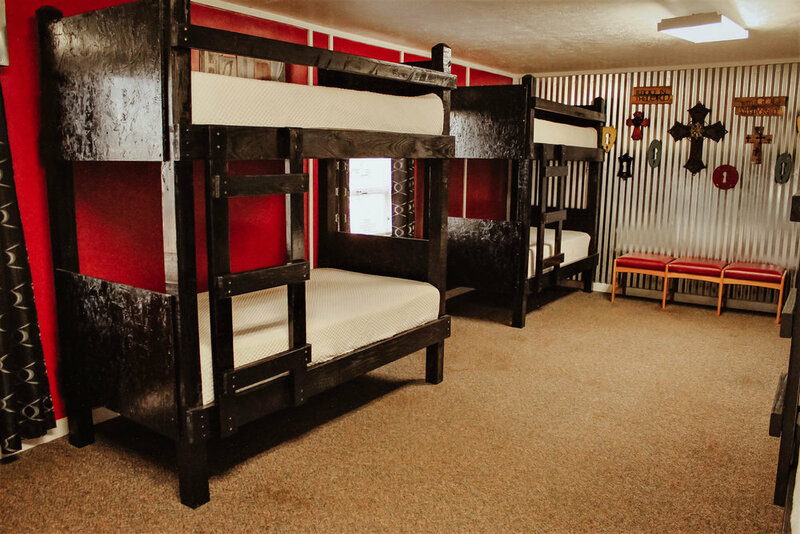 ADD-ONS: All campers can choose to add laser tag, snack shack credit and gift shop credit! Older campers can add exciting activities like trap shooting, paintball, arrow tag and our Goliath challenge course! Contact us to register your group and get a specific rate! The rates below are without discounts, like group size and early registration! Join us at Oakridge this summer to learn about the life of Moses and how he was called out by God! Splash in the pool, ride the go-karts, earn points for your team, worship Jesus, and enjoy fellowship with other Christians. We provide kids, teens, and mixed camps for churches, social groups and individual campers! To register, call us at (405) 247-5433 or contact us through the inquiry form below. A three-day, two-night experience starting Friday afternoon at 2pm and ending Sunday afternoon at 2pm. *Register by April 7 for a free T-Shirt! Register by March 7 to receive a free T-shirt as well as $10 extra activity credit! To register, call us at (405) 247-5433 or contact us through the inquiry form below. A five-day, four-night experience starting Monday afternoon at 2pm and ending Friday morning at 11am. *Register by April 10 for a free T-Shirt! Register by March 10 to receive a free T-shirt as well as $10 extra activity credit! To register, call us at (405) 247-5433 or contact us through the inquiry form below. A three-day, two-night experience starting Friday afternoon 2pm and ending Sunday afternoon 2pm. *Register by April 19 for a free T-Shirt! Register by March 19 to receive a free T-shirt as well as $10 extra activity credit! To register, call us at (405) 247-5433 or contact us through the inquiry form below. A five-day, four-night experience starting Monday afternoon at 2pm and ending Friday morning at 11am. *Register by May 22 for a free T-Shirt! Register by April 22 to receive a free T-shirt as well as $10 extra activity credit! To register, call us at (405) 247-5433 or contact us through the inquiry form below. A five-day, four-night experience starting Monday afternoon at 2pm and ending Friday morning at 11am. *Register by May 29 for a free T-Shirt! Register by April 29 to receive a free T-shirt as well as $10 extra activity credit! To register, call us at (405) 247-5433 or contact us through the inquiry form below.